Smooth Ostrich dark peanut foot with toe stitch & feather weight sole, a 12" black French calf top with subtle cowboy roping stitched into the top. 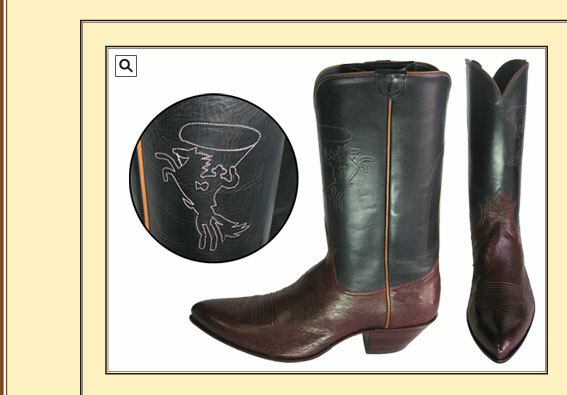 This boot is shown with a 2" under shot heel and narrow round toe. Also a cell phone case stitched inside top.